Twenty-five years after it’s original run, series creator Linda Bloodworth-Thomason will reboot the iconic sitcom in a new deal with Sony Pictures Television Studios. 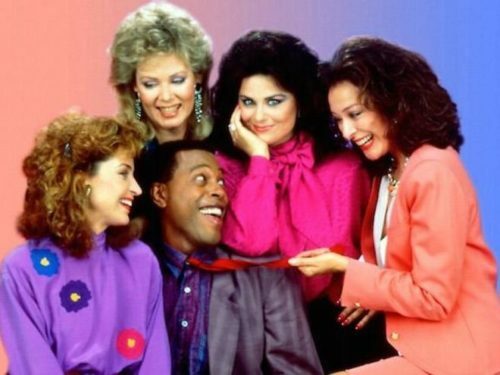 Dixie Carter, Delta Burke, Annie Potts, Jean Smart and Meshach Taylor were the stars of the original series. While Carter and Taylor have died, Potts and Smart are still acting. Burke last appeared on TV in 2009. Burke and Taylor were both nominated for Emmy awards for their work on the show and a season two episode that dealt with the prejudice around AIDS was nominated for two Emmys. The show had a decidedly liberal bent and regularly tackled controversial topics like homosexuality, racism, and women’s rights. The show also had some casting controversy as various actresses exited the show and were replaced with other characters. Burke’s high maintenance character was a mirror of the actress’s own personality and she was fired from the cast after a vote by her fellow stars. The reboot will join Roseanne, Murphy Brown, and Will & Grace as television networks scramble to produce comedies popular enough to forget the current state of affairs. All four of the original series – and the reboots – have not shied away from current events. Potts, for her part, thinks the time is ripe for a reboot of the series. “I don’t know when I’d find the time for it, but I think that they could use a show like Designing Women — feisty smart women that didn’t take any B.S. from anybody,” she told ET recently. The reboot hasn’t found a home yet, but the original took Trump down a few pegs. Would the reboot do any less?